We are homify – the platform for Home and Living! Whether you need the right architect or simply inspiration – we offer everything that home lovers need for planning, renovating and decorating their home. 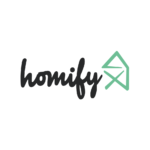 More than 100.000 architects, designers and other professionals present their work on our website and acquire new business through homify. Since 2013, we expanded to more than 35 countries worldwide and we continue growing. All countries are managed from our headquarter in Berlin, but we brought the world into our offices and built a team of more than 100 people with more than 40 different nationalities. We are working in a demanding and fast growing environment facing new challenges every day. Because we share the same goal: we want to build the premier platform for Home and Living across the globe! Currently, we are looking for a Content Marketing Manager (f/m)for the Arabic market. Analyzing and reporting the traffic development of your market using various tools such as Google Analytics, Excel, Facebook Insight, and etc. Change is not a scary word for you. You thrive in organizations that constantly adapt and evolve.